This essay was originally part of the journal Numen Naturae: The Magician's Wand edited by Casandara Johns and published by House of Hands in 2016. Copies of this journal, which is part of an ongoing project pairing plants with archetypes from Tarot's Major Arcana, can be purchased by following the link above. The next installment Numen Naturae: Dismantling the Tower features Devil's Club and is currently being edited for publication. Before I paint a picture of Yarrow and its relationship to the Magician, I would like to bring your attention to the nature of the work as practiced on this green path of plant knowledge. Being raised in a culture that chose to abstract the divine in the form of an impersonal God beyond my comprehension left me in a precarious situation and raised a very important question. How is it possible to connect with something that by definition is beyond my understanding? I realized later in life that my heart needs tangible objects of adoration that bridge the gap between the infinite, universal force and little old me in this seemingly separate material body. Without beings to which I can devote my love in a reciprocal manner, I feel lost, but when I walk past a plant with my heart open to offer and receive love and the plant responds with movement, I know there is a very real connection. Working with and developing relationships with plants that I can feel, hear, see, smell, and taste helps restore a link that touches me at the core of my humanity, and as I continue to develop devotional relationships with the elemental forces of nature, the spirits of the earth and the sky, and the spiritual beings embodied within plants, I remember my connection with the divine and gain access to all of the healing, wisdom, and blessings available to me and all beings via our connection to the natural world. Each plant is a living embodiment of great spiritual teachings, and each plant carries a distinct flavor of consciousness. When we ingest a plant with intention, receive the plant as our teacher, invite the plant into our lives, and develop a relationship with the plant something special happens. 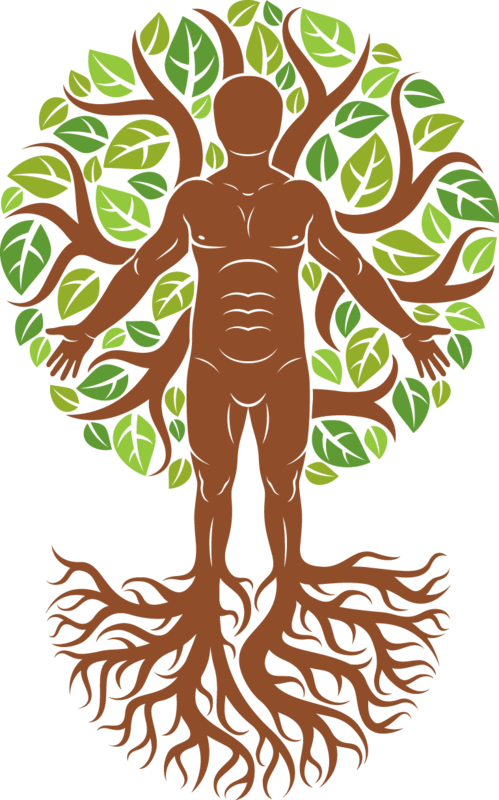 If we commune regularly with the plant spirit and allow its energy to move through our physical and energetic bodies, our own consciousness and energetic capacities broaden, and the teachings of the plant imprint themselves upon our beings. The plants illuminate, each in their own way, the energetic blockages caused by the wounds and traumas we have suffered in this life and others. Through dream-like visions, auditory messages, bodily sensations, memories of past experience, direct intervention through energetic release, or other forms of trans-species communication, the intelligent and wise plant teacher, presents us with opportunities to understand the blockages that keep us separate or that inhibit our full expression as humans. In this way the plants can help us transform ourselves on the cognitive, emotional, physical, and energetic levels. Once the plant has cleared these pathways it highlights the practical skills and spiritual gifts that we are destined to bring to this earth and to our local communities. The healing benefit of each plant runs along a continuum. On one side we see the imbalanced or unhealthy aspects of ourselves. We are conditioned to stop the process when the discomfort or unease ceases, but if we follow the trajectory of the plant’s medicine, previously hidden, highly functioning aspects of our beings emerge and become normal and integral parts of who we are. As you get to know and understand the plant’s medicine by repeatedly connecting with it, you cannot help but understand its essential nature in an increasingly deep and refined way. This process triggers self-remembrance as the plant reveals your own true identity, and a reciprocal and unending spiral of illumination occurs. In this essay I present various ways that Yarrow’s medicine reflects the way it exists in the world. This concept known as the Doctrine of Signatures is based on the understanding that if there is an underlying force or energy that gives shape and form to the universe, then we will be able to perceive correlations between things that have been shaped by similar permutations of this universal force. A careful and deep study of the natural world and its energetic patterns reveals many hidden secrets, and working with the Doctrine of Signatures allows us to penetrate to deeper levels of understanding. If we are able to experience plants in their totality, patterns based on their habitat, their form including shape, color, and texture, and their energetic qualities including temperature, taste, and elemental associations may emerge. © Scott Kloos. 2015. All Rights Reserved. Lance-shaped, feathery, finely dissected leaves cut all the way to a distinct midrib to remind us of Yarrow’s ability to cut through obfuscation to the core of truth. There is no bullshitting with Yarrow. It will hold you to a standard of integrity you may not have known exists within you. Those not aligned with the Mage within may find themselves mired in addictive behaviors, incongruent communication, or relationships built on fantasy or lies. Yarrow brings an uprightness in the form of a fierce and loving light that illuminates these shadows of projection and fantasy. Yarrow is overtly psychoactive in large doses 1 , but even at the smallest doses, it heightens sensory perception of all kinds and clears the neural pathways to increase visual and auditory acuity. Yarrow increases energetic awareness and tunes us into what’s going on in the surrounding space. This can be helpful for those who are sensitive to, but perhaps not fully aware of, the swirling currents of energy that make up the energetic sea within which we exist. All souls yearn for and are drawn to connection with nature, the divine, and all forms of life, and indeed the nervous system of every human extends beyond the physical body to interface with this web of creation. For many of us, cultural conditioning or complexes arising from difficulties and traumas get in the way of this natural process, and we live with an empty feeling of separation. Others, born extremely open and sensitive to these spiritual energies, may experience fear and feel unsafe as they navigate life in a culture that denies the very existence of these divine forces. As the prototypical Yarrow person and aspiring Mage begins to develop their gifts they may be find themselves easily influenced by the energies of others. These folks either quickly learn to shut down their perceptive capacities or, without understanding the proper techniques necessary to ground these energies, are afflicted by feelings of overwhelm and anxiety as they are blown about on the winds of other people’s negative emotional states. Over the years many people who experience these “problems” have come to me for assistance. These people think that there is something inherently and horribly wrong with them, but in fact these people have the ability to exist in deep connection with spirit. They just need to learn how to properly work with their easily opened energetic channels. Yarrow helps stem the tide of sensory overload, especially for those whose energetic boundaries have been torn via violation through sexual, verbal or physical abuse. The name Yarrow comes from old English garwe meaning “spear-well” as in the healer of wounds caused by spears. It heals even the deepest cuts (another signature reflected in its feathery, deeply cleft leaves) and has been used the world-over to treat wounds received in battle. For this reason, yarrow, whose latin name is Achillea millefolium, is known as the thousand-leaved herb of Achilles. Achilles the great, Greek warrior studied the healing arts with the centaur Chiron, archetypal symbol of the wounded healer. Working with Yarrow, also known as the herb of the wounded healer, seals these energetic wounds and restores proper boundaries to our energetic skins in the same way it heals wounds to the physical body. If you find yourself feeling overwhelmed when you enter a room or suddenly begin to feel emotions or feelings that you weren’t feeling previously, you might consider enlisting Yarrow as a teacher as you learn to navigate the energetic seas. By continuing in the study you will eventually find a way to be at home even on the most intense fields of spiritual battle. For those with blocked channels, Yarrow cuts through and unravels the knots that obstruct the flow of energetic input. Take care—this process of opening the gates must not be rushed. It is best applied in a measured way so as to prevent overwhelm of the vulnerable psyche which must be gradually tempered to receive the powerful primal energies of divinity and creation itself. Unleashed upon the unready, these forces bring a trauma of their own that rends and tears at the fabric of the psyche leaving the person awash in a sea of chaos and confusion and subject to the whim of external forces that most often do not have their best interest in mind. Thankfully, Yarrow possesses the wisdom to faithfully guide us on this journey. Before developing the power that comes from grounding and alignment with Heaven and Earth, Yarrow helps clarify boundaries and offers space to say, “I will work with this, but in this moment I choose not to work with that.” It helps you tune in with the energetic space that surrounds you and helps you enter sacred space where you can act with more consciousness and awareness. Initially, when learning this kind of psychic protection, performing a ritual can be beneficial. A former assistant came up with this idea: Create a circle (preferably out in nature) with a clearly delineated inside and outside boundary. Find something like a rock or other object that represents the things with which you are willing to work and something that represents those with which you choose not to work. Hold the former in your right hand, the latter in your left, as you sing a Yarrow song (see below) or enter a state of contemplation. Consciously imbue the objects with the energies and intentions that you’ve attributed to them. Step outside of the circle to discard or bury the rock or other object that represents the things you choose not to work with or allow to have influence over you at this time. Retain the object that symbolizes those things with which you choose to actively engage and place it on your altar or in another significant spot as a reminder of your pledge. The first time I participated in this ritual, I realized that I had never given any thought to the things with which I was or wasn’t willing to work. I was under the impression that if it was coming, I had the responsibility to work with it. It was very liberating to learn to consciously choose. You can also perform this ritual within a group. 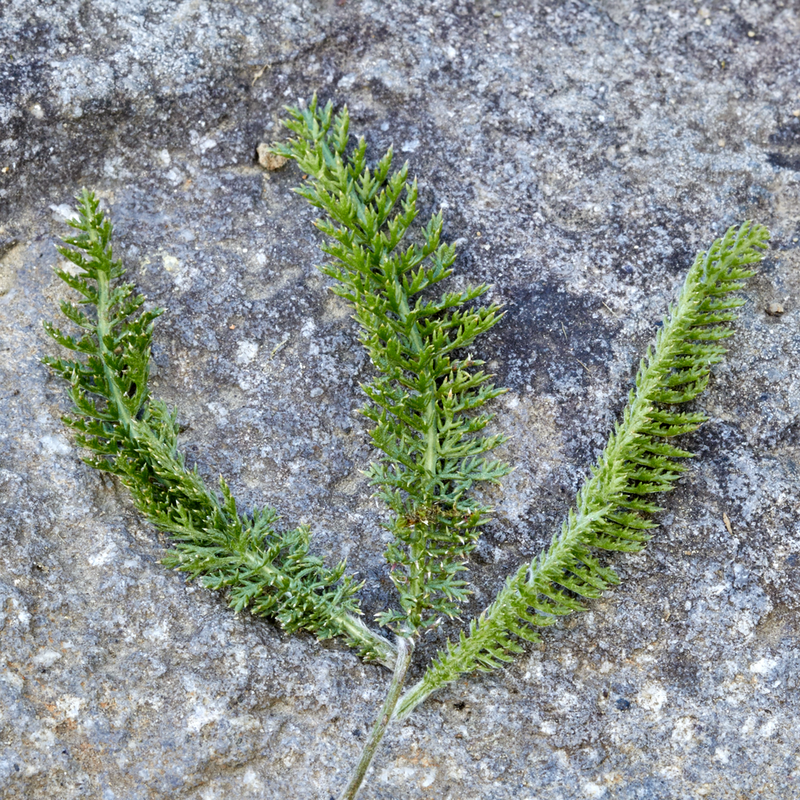 Yarrow shape-shifts at the chromosomal level to achieve adaptability. You will find lush and green yarrow growing within sight of white-foamed waves crashing against the sandy shores of the sea and inhabiting glacier-ground soils on mountain slopes above the highest of the wind-sculpted trees. Yarrow is equally at home in well-tended gardens and neglected city parking strips as it is in the most remote and wild places where humans rarely, if ever, venture. It inhabits the entire northern hemisphere at every elevation and thrives in varied terrain including dry, sandy, and rocky ground to damp clay soils. The Mage in their fullest expression is also at home in any environment. The burgeoning Magician may feel overwhelmed by energies, but ultimately, it is the magician’s job to feel at home and comfortable anywhere. The Mage in their full glory is completely self-composed and aware of all that goes on around themselves, but the aspiring Mage, while opening to the universal currents of energy that will allow them to do their job may be taken over and potentially negatively influenced by the surrounding energies. As stated above, we all exist in relationship, and it is through relationship that we can understand who we are. Those on the path of self-knowledge must be able to answer the question, “who am I?” with great certainty. This question can only be answered by finding one’s place and examining how one relates to everything else in the world. To become a Mage one must become a shape-shifter. As we enter into conscious relationship with and merge with forces seemingly outside of ourselves, we seem to lose our identity. Yet this practice paradoxically leads to an understanding of the pure, authentic truth of who we are. The “me” that most of us cling to is not at true “me” at all but a conglomeration of thought forms and energies that have either been invited, consciously or unconsciously, into our energetic and physical beings or that have been installed through cultural programming. The illusion of the lower-self “me” dissolves when we interact with and embody these other forces. With its large, compound head of white flowers facing the heavens atop a strong, thin, and straight stalk, Yarrow is tree-like in its energy. The stalks of Yarrow have been used for millennia in conjunction with the I Ching or Book of Changes as tools of divination. As an embodiment of the opposites, as seen in its ability to adapt to differing environments, stop bleeding and move stagnant blood, stimulate and relax, ground and uplift, and open and enhance sensorial experience while providing energetic protection, Yarrow helps inspire an alignment with Heaven and Earth, just like the trees. Through this alignment we get the clarity necessary to see through the veils and into the space of divinatory perception. When we are able to become fully attuned to this vertical axis, our destiny becomes clear. The path is illuminated and in the same way that Yarrow helps us to open our pores to sweat out a fever and restore physical balance within the body, it helps to clear out and remove impediments to being aligned with our true destinies. Yarrow invites people stuck in their heads to fully inhabit their physical and energetic beings. At the same time, rather than bringing us downward into a samsaric arena to wrestle with our demons and darkness, it calls us upward as beings of light into our higher selves where we can align with the divine will. From this space we are able to move through the world with less effort. The root of the word “yarrow” is related to “yare” which means “well-guided,” as in a ship with a good rudder. When we we try to navigate the world in a mentally oriented way, removed from relationship to the divine, using our own personal will, we are acting from the soar plexus or third chakra. This way of being expends a tremendous amount of energy because we are fighting against the current. When we go against the currents of destiny we create difficulty and frustration. Returning to our hero, Achilles, we see that when we try to alter our destiny for personal desire, we cause unnecessary pain and suffering for ourselves and others. Unlike Achilles whose actions prevented him from realizing his full potential as it was foretold by the gods, we as aspiring Mages can navigate through the world with ease and realize our full expression as humans by aligning with the divine currents of destiny. When we become well-grounded and centered in who we are we can say, “I am aligned with Heaven and Earth and the will of the divine. I can influence the forces around me to affect change in service of all life.” In this way we can become Magicians of the highest order, offering ourselves as vessels for the manifestation of spiritual forces that bring transformation, healing, and renewed connection that benefits not only ourselves, but our families, our friends, our communities, and all beings on this planet. O great plant teacher, Yarrow, bringer of light, we call upon you to help each of us find our true path and destiny. Show us the way of clear perception and vast, unencumbered awareness. Bring us peace and protection on this path of spiritual warriorship and guide us on our way to alignment with and oneness with the divine forces of life as we develop our capacity for magical influence.